From coffee grounds to oyster mushrooms. 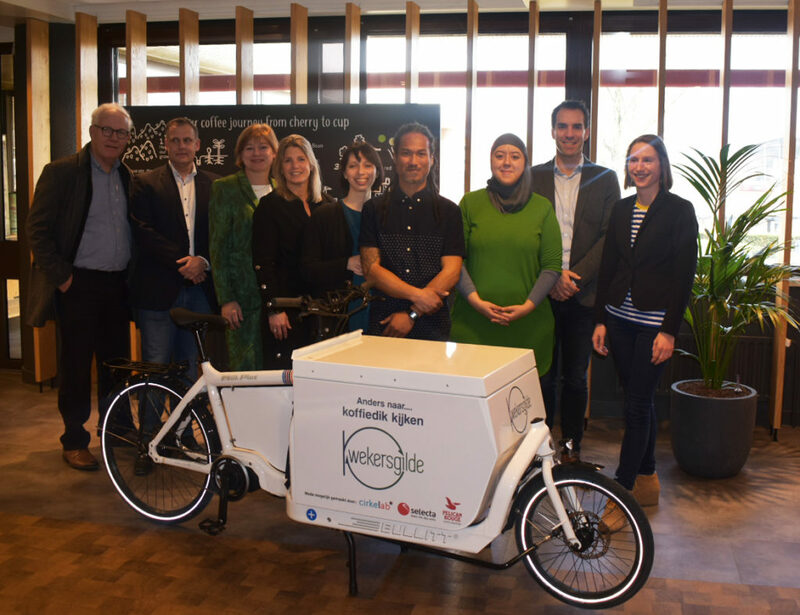 The companies Cirkellab, Pelican Rouge Coffee Roasters, Selecta and startup Kwekersgilde work together to create circular solutions in the region Drechtsteden. Kwekersgilde is founded by Patrick Asmawidjaja, supported by Thirza Monster of Cirkellab, and focuses on breeding oyster mushrooms on coffee grounds. From these oyster mushrooms the local horeca can make delicious snacks. Patrick: “It is more then logic to use these type of residual flows as commodity for the breeding of mushrooms”. Patrick will start end of March with collecting the coffee grounds from the city council in Dordrecht. With his electric bike, sponsored by Pelican Rouge Coffee Roasters and Selecta he will do this. The goal of the collaboration is to scale up circular business models and support local initiatives.